Flue Insulation Wrap Jacket is made entirely of e-glass materials which are completely safe for the environment. The inner layer is blanket which is contained in a glass fibre cloth outer. 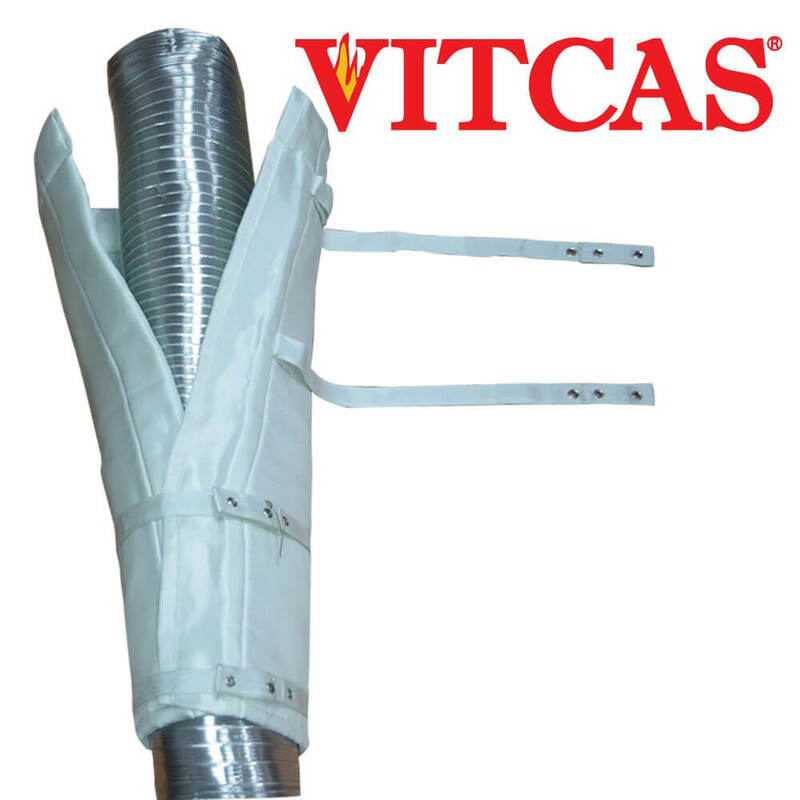 Total thickness of Vitcas Flue Insulation Wrap is just 12mm, resistant to 550oC and very low thermal conductivity. For simplicity the flue wrap jackets are supplied in one universal size which is one metre long and fits all flue pipes from 5” (125mm) to 8” (200mm) diameters. The fixing straps are simply wrapped around until two of the holes line up and a simple metal tie is pushed through the two holes to secure the strap. The chimney jackets should be fixed so that the higher one always overlaps the next lower one a little so that any debris which falls down the chimney will not lodge in the joints.